It lies quietly in a glass case on the ground floor of the National Museum of Denmark in the centre of Copenhagen, just a couple of hundred yards from the Christianborg Palace where the World Archery Championships were held in July 2015. In four pieces, it’s 64 inches long and a glowing, deep brown colour, resting next to a wooden paddle and a skeleton of a prehistoric horse. It is known as the Holmegaard bow, and it’s one of several bows found during WW2 in the peat bogs of Denmark. At first glance, it’s not the most incredible sight in the world, for something so important to history. The small sign on the wall doesn’t really do it much justice, and there are hundreds of other things to draw the eye in the ‘Prehistory’ section and all over this interesting museum. Because this is the oldest bow in the world. Or rather, it’s the oldest complete bow, and the oldest existing bow we know about, and the oldest thing that is unquestionably a bow. As a piece of technology, it’s striking how modern it looks – elegant and symmetrical. The second bow found is even longer (170cm / 66in), and there are fragments of more. 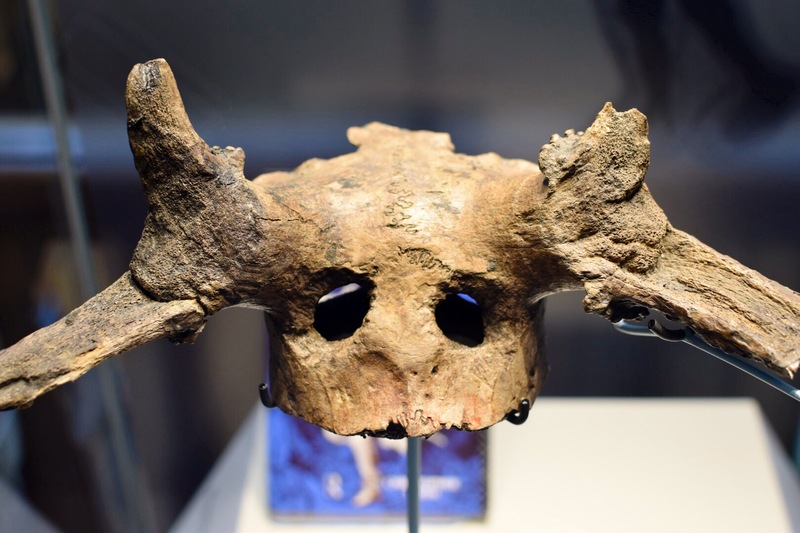 It is dated to around 7000 years BC, in the Mesolithic period. This date is not particularly in question, but it was based upon the layers it was found in. The heavy formaldehyde preservative it was treated with after its removal from the safe, oxygen-free confines of the bog has hindered any further attempts at chemical or carbon dating. Bows and arrows obviously existed for many thousands of years before the Holmegaard bow, but this piece of dark elm is the ‘stop date’. No one knows exactly when bow and arrow technology was first invented. Some scientists believe it was invented closer to 70,000 years ago, which would put it towards the tail end of the Paleolithic. 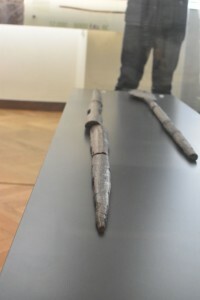 Many bowyers have produced reproductions of the Holmegaard bow, and it is regarded as one of the classic European wooden self bows of antiquity along with the Mollegabet and Meare Heath bows. It has a characteristic design with wide, tapering limbs and a cutaway handle, which Sorenson believes would have been wrapped in leather. It is an efficient weapon even today. The bow communicates across the millennia. It tells us, in an almost mystical way, something about what people were thinking. The culture that built the Holmegaard bow was contemporary with and archeologically related to a site in Britain – then still just about connected to mainland Europe by a land bridge – known as Star Carr. This site is most famous for the extraordinary headdresses made out of red deer skulls, one of which I photographed in Cambridge earlier this year. Whoever the craftsmen who built the Holmegaard bow were, they were likely part of a culture who bound hunting, religion and magical thinking together in ways that it is almost impossible to imagine now. The bow, and possibly the bowyer, may have been a source of great power and infused with a deep magic, as humans stumbled into the Holocene. Nothing would ever be the same again. 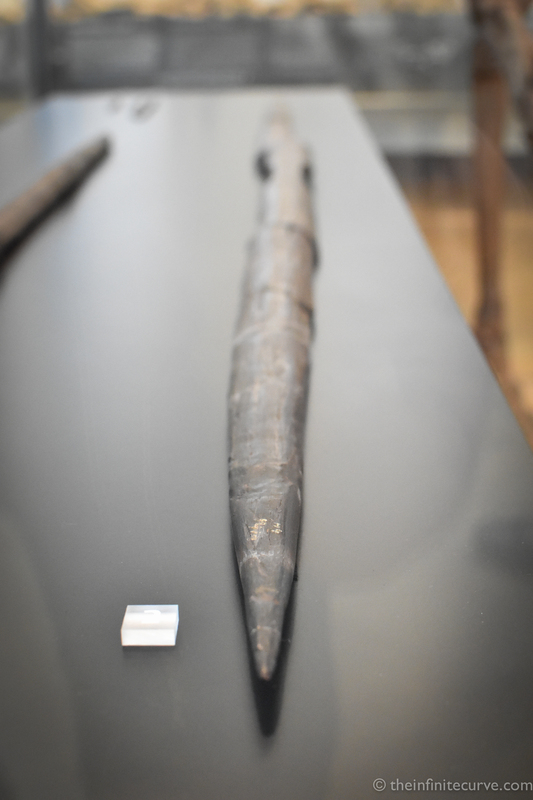 Some other pics of the Holmegaard and other ancient Danish bows here.